There are a few laptops out there that offer a truly high performance machine with a sleek design and low weight. Razer did a good job with their Blade laptops but they start at a whopping $2200 and approach $2699. That price makes it inaccessible to many. 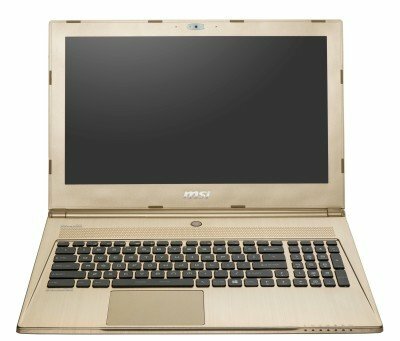 Even though the MSI GS60 Ghost Gold Edition might be a hard price to reach for some, it is still more accessible with its $1799 starting price here at Newegg. Both are also available at Amazon with lower price points but the Gold Edition is exclusive to Newegg. The difference here is the aesthetics of a unique piece of hardware. 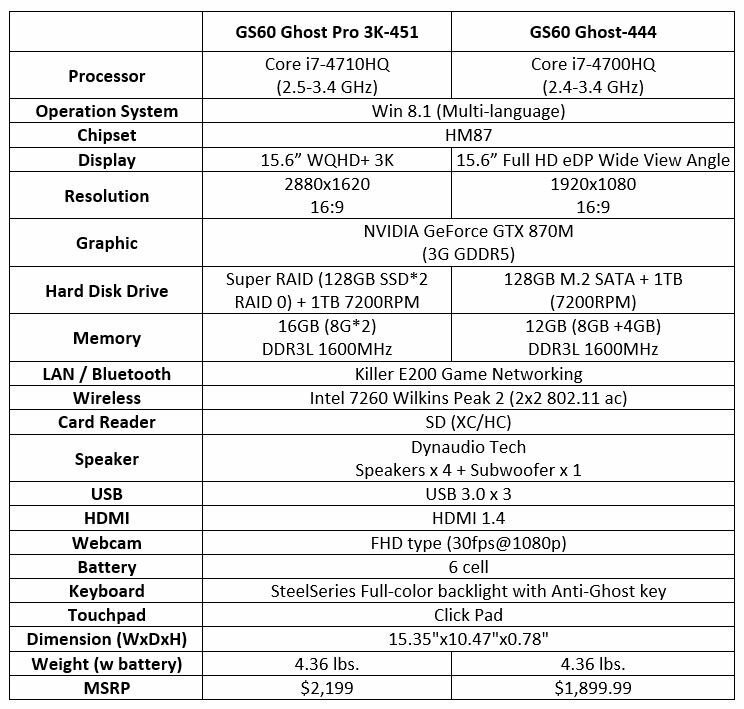 There are two models, the GS60 Ghost Pro 3K and the Ghost GS60. The 3k is indicitive of the screen resolution which is a whopping 2880×1620 lines. The laptop has near perfect dimensions with a sub 5lb weight and a 15.6″ screen. Sweetening the deal are standard i7 processors with a 4700 in the base model, and an i7-4710 in the Pro. Graphics are powered by a GTX 870M with 3GB of DDR5 Memory. Connect to the web with the Killer Networks E200 Gigabit LAN or the Intel 7260 dual-band AC wireless adapter. I’ll stop with the specs for now. The spec sheet is below anyway. What’s cool about this laptop is aesthetics and form factor. It’s important to consider what kind of laptop you really want. Is it thin and light? Or are you looking for the absolute best performance, regardless of price and size. The MSI GS60, both in black and gold, are a nice combination of both. It’s not as extreme as the Alienware 18, but it’s lighter and less expensive. The kicker is getting an Nvidia GTX 870m for less than two grand on a fairly light laptop. After looking at all the other specs it’s hard to argue against this being one of the best laptops for the price right now. It gets our stamp of approval.